Celebrate Halloween also known as All Hallows Eve and the Mexican Day of the Dead this month with spooky delights and free events at the Carnival Macabre in Northbridge from the 28th of October to the 1st of November. Held at Northbridge Piazza at the corner of James and Lake Street, Northbridge from 7am to 4pm, feel free to dress up in your freakishly scary costumes and roam the streets with other fellow ghouls. To put everyone in the scary mood, the Piazza will be playing Halloween movies such as Hasta Los Huesos (Down to the Bone) as part of the Viva Mexico Film Festival on Wednesday the 28th of Oct from 7.30pm to 8pm, Beetlejuice also on Wednesday from 8.30pm to 10.30pm, Mai Morire (Never Die) on Thursday 29th October from 7.30pm to 10pm, Alien also on Thursday from 9pm to 11pm, El Incidente (The Incident) on Friday 30th October from 7.30pm to 10pm and The Shining on Friday from 9pm to 11.45pm. Then on the 31st of October, Saturday, embrace the colour and traditions as City of Perth and Friends of Mexico come together to celebrate Mexican culture and the Day of the Dead from 2pm to 4.30pm. 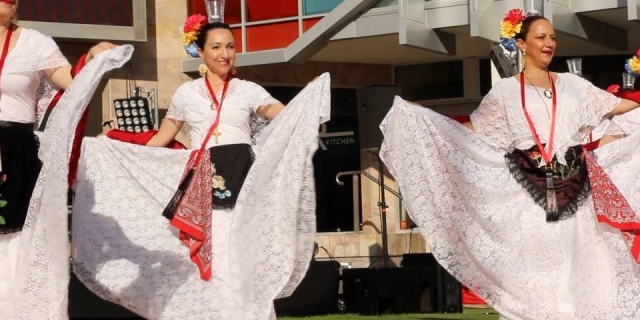 Watch various regional Mexican dances performed on stage by local folkloric dance group Ixtzul. Don't forget to try out the delicious local cuisine from different regions of Mexico and see the display of a Dia de Muertos shrine which comprises traditional colourful altars for the dead which is believed to be a portal, welcoming loved ones back for one night a year to share food and drink with family and friends. This tradition views death as a continuation of life. The Legend of the Weeping Woman (La Leyenda De La Llorona) will also be playing from 2pm to 3.15pm. 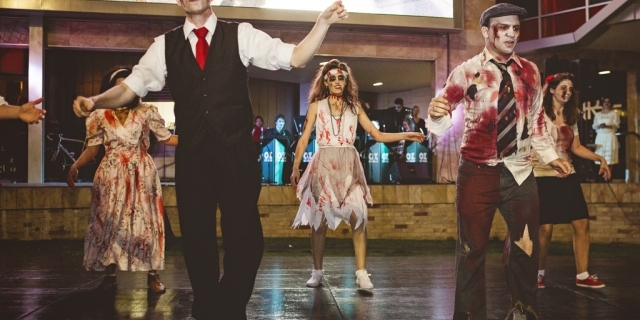 Those who decide to dress up will be rewarded with the Zombie Masquerade Ball held from 4.30pm to 10pm. 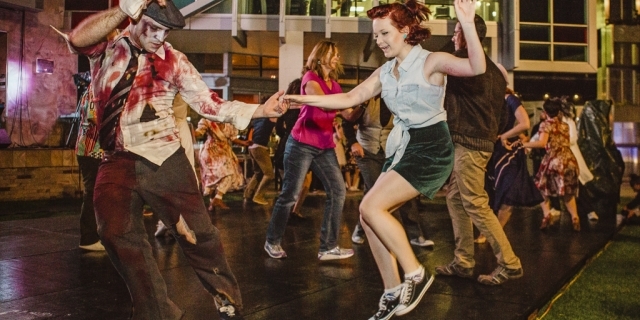 The Hullabaloo Hoppers and some Australian Jitterbug Champions will thrill you with a free swing class and zombified performance. A troupe of mysteriously masked salsa dancers will also lead a free salsa class for the energetic soul. There will be funky tunes with the Junkadelic Brass Brand playing New Orleans jazz with recycled percussion instruments while Day of the Dead dancers show off their moves. Be entertained by the skilful death-defying Boneyard BMX tricksters as they wow the crowd on their ramp throughout the night as well as free face painting and a game of Zombie Tag – a live interaction game using a Playstation Move controller which pits zombies against humans. You can also indulge your inner nerd instincts by being a human chess piece in a life-sized version of the game, played by two WA state champions as part of the Chess Association of WA's speed chess demonstration competition. You won't go hungry either; a range of devilishly delicious food is available for purchase. So just this once, give trick or treating a miss and opt for this fabulous range of free events at Northbridge Piazza.